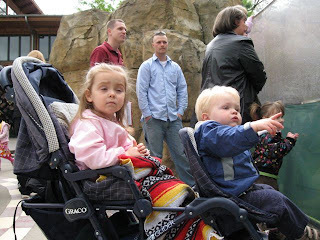 Seven years ago, when my oldest daughter was just one year old, we purchased our first membership to the Akron Zoo. Our daughter loved seeing all the animals, playing at all the attractions, and packing picnic lunches. I can remember going many times each month often with my wife, other times just her and I. We even visited the other zoos in our area when we discovered that our membership allowed us to get in for free or at a discounted rate. 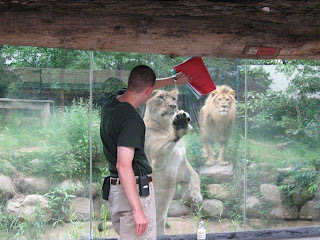 Two years later, when my oldest son was one year old, I was lucky enough to be hired as an educational interpreter (aka docent) at the Akron Zoo, where I worked for two summers. It was one of the best jobs I ever had and I learned so much during my time there. I could tell you everything you didn't want to know about sea urchins, jellyfish, slipper lobsters and other sea creatures. I also learned that I was more terrified holding a rabbit than when handling the large snakes. (That darn rabbit didn't like me! Ouch!) 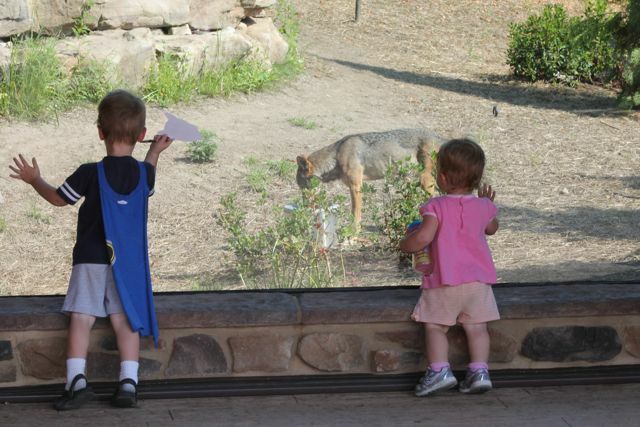 More importantly, working at the zoo changed my way of thinking about the environment. I realized the importance of recycling and saving energy and I gained a deeper appreciation for animals especially those in my backyard. My oldest two children often came to the zoo with my wife during the summer. They enjoyed listening to my zoo talks at the Humboldt Penguin exhibit. (That is me in the red shirt). This post contains links to Amazon.com. If you click one, we will receive a small commission -- at no additional cost to you -- on anything your buy at Amazon for a certain length of time afterwards. It was so peaceful being at the zoo before and after hours. I happened to have my camera for this cool encounter with the female lion before the zoo guests arrived. I can remember the male lion, in the background, roaring just about every morning at about 9:30am. He must have known the zoo was about to open at 10am. 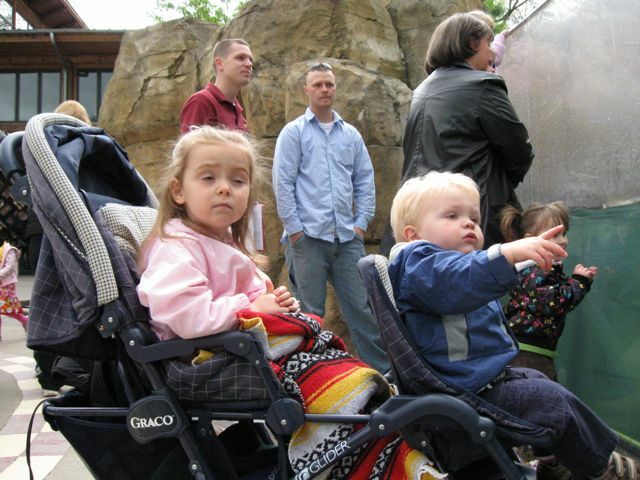 In the summer of 2010, we had our third child and I stopped working at the zoo. 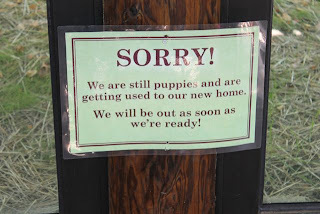 I knew those first few months were going to be very hard with a new baby and it just didn't make sense to continue to hold seasonal employment. However, around this time my family started to get passionate about reading and celebrating author and illustrator birthdays. Just like working at the zoo, I have learned so much by reading to my children and it also changed my way of thinking. I realized that reading together should be a valuable part of a family's every day life and that reading doesn't have to happen only on the couch or just before bedtime. 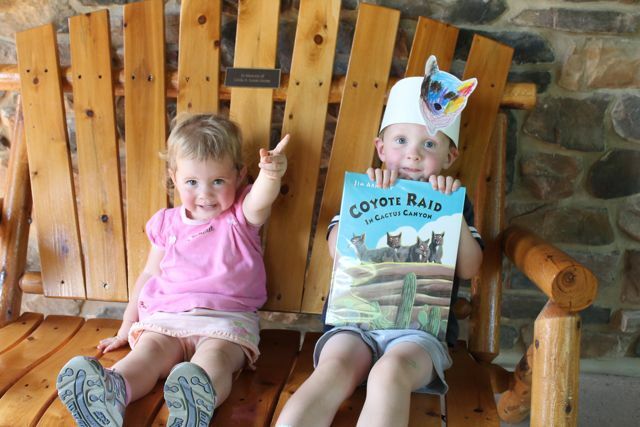 Reading with your children can happen anywhere. 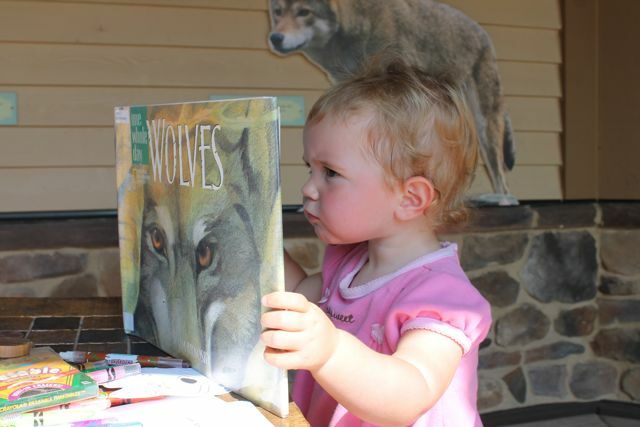 This week while at the zoo with my two youngest children, I wondered if I would approach the job as an educational interpreter a little differently after having the experience of reading picture books to my children over the past five years. 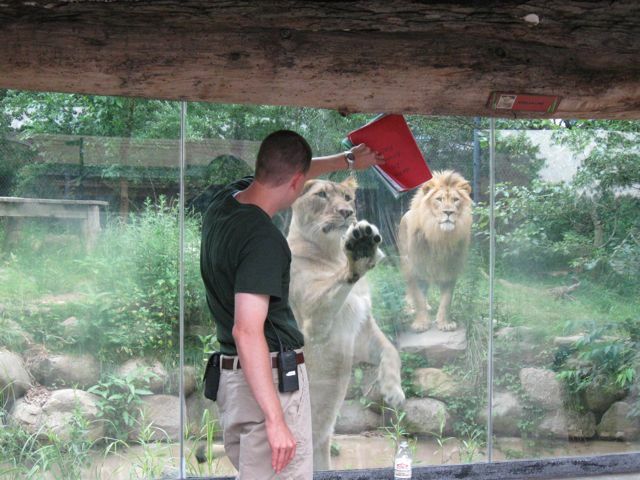 I used to carry red and green notebooks full of facts about all the animals at the zoo. (My co-workers used to give me a hard time about taking the job so seriously!) I am sure that if I were to have the job, in addition to those notebooks, I would carry a stack picture books in hopes of finding an opportunity to read to families right at the exhibits. Additionally, I am sure that in that stack would be a few picture books written and illustrated by Jim Arnosky. Jim Arnosky has published over 100 books for children as an illustrator and an author in the pursuit of "fostering an appreciation of nature and curiosity about wildlife." (BookPage). Arnosky was curious about wildlife as a young boy when he would spend all day outdoors. His curiosity became a passion by the time he married his wife Deanna and they enjoyed observing animals and nature together. He began his career illustrating for Jack and Jill and Ranger Rick magazines. Then, in 1977, he wrote and illustrated his first book, I Was Born in a Tree and Raised by Bees, which featured his beloved character, Crinkleroot, that has appeared in fourteen books. (Children's Book Review) Jim Arnosky has been successful writing and illustrating children's books because of his detailed journaling, careful all-day observation of nature's "series of ongoing vignettes", and precise painting aided by the study of his own photography and videography. (Teaching Books.net). Last year, I had full intentions of celebrating Jim Arnosky's birthday with a trip to a zoo. We had read many of his books including A Manatee Morning and Slow Down for Manatees. I had even emailed a friend who worked at the Columbus Zoo to verify that they still had manatees on exhibit. However, the adventure never happened and I was disappointed. This year, I once again had full intentions of making the trip to the Columbus Zoo. However, I waited too long to get the books from the library that I wanted to read at the manatee exhibit. This week, I dropped my son off at preschool and thought I would go to the library to pick up whatever books they had by Jim Arnosky anyway. There were two books that I found that caught my attention, One Whole Day: Wolves and Coyote Raid in Cactus Canyon. 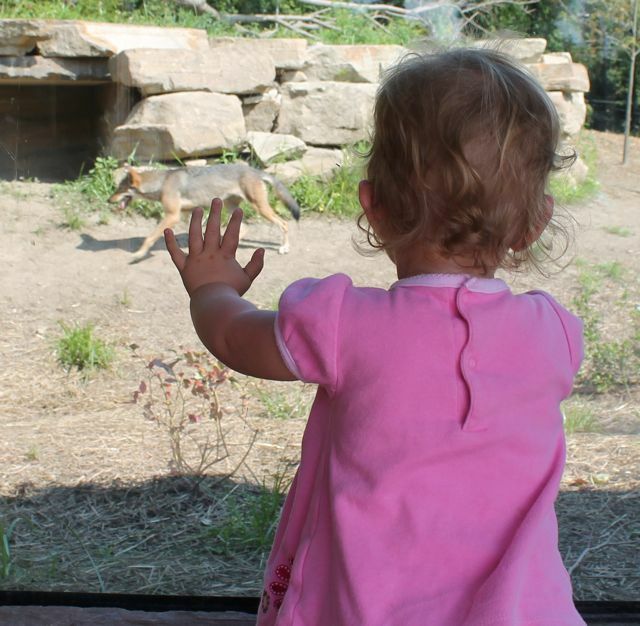 I immediately thought about the new exhibit, that just opened last month, at the Akron Zoo that features grizzly bears, bald eagles, otters, a new aviary, and... wolves and coyotes! My youngest son's preschool schedule has his mornings booked Monday through Thursday. However, on Fridays it is a "stay home day." My goal is to do something fun every Friday with him and his sister to give him something special to look forward to at the end of the school week. Jim Arnosky's birthday, beautiful weather, two great books, and the first "stay home day" of the year lead us to the Akron Zoo. I wasn't completely sure this plan was going to work because both of the previous times we visited the new Grizzly Ridge exhibit the wolves were not visible in their enclosure. I thought it would be best to arrive at the zoo when it first opened, before the heat of the day set in. (Good thing I did this because it was around 90 degrees!) 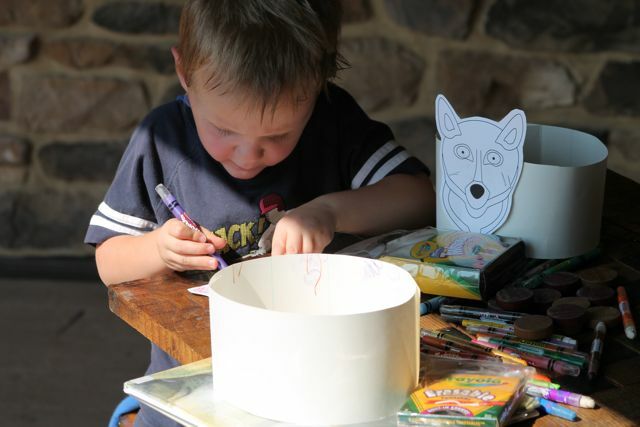 Also I planned a craft for my children to do after we read One Whole Day: Wolves that would help if the wolves didn't cooperate. The wolves were not visible when we first arrived. So, we found a nice little table to set up our activity. After reading the book to my children, my daughter went in for a closer look. Thankfully, there was a vessel of water for the wolves to drink from right in the front of the big window. The wolves ended up making frequent visits for us to see them up close. The wolves on exhibit at the Akron Zoo are red wolves. We learned that they are critically endangered and this was first time my son heard the term. I tried to explain to him why it was so important that the red wolves were at the zoo. 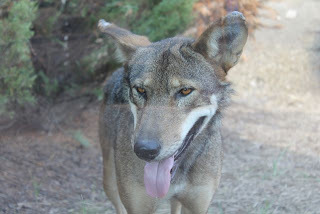 According to Redwolves.com, "By 1980 the red wolf was functionally extinct in the wild because of habitat destruction and systematic extermination." 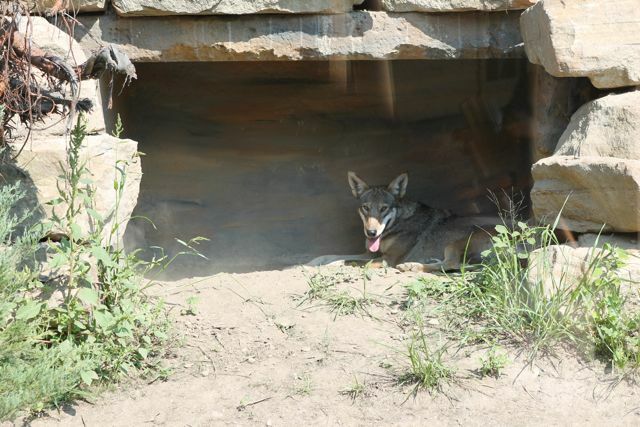 A captive breeding program began after about 20 red wolves were found by the U.S. 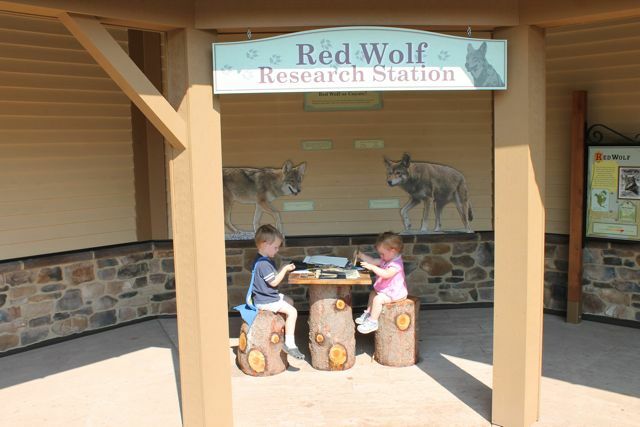 Fish and Wildlife Service and then in 1987 a reintroduction program began in North Carolina. Now over 100 red wolves live in the wild and around 200 are held in captive breeding facilities. (fws.gov). The two red wolves we saw at the zoo are females that were born on April 24, 2011. They have literary names, Katniss and Rue from The Hunger Games. Based upon the description of the two red wolves, I think this is Rue. She is described as more curious than her sister, has darker fur, and wrinkly forehead. She came right up to the window for my kids to see. 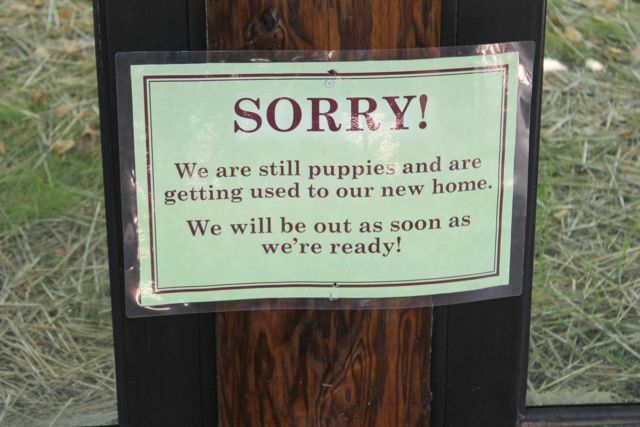 We hoped to see the new coyote puppies, but they were still not ready to be on exhibit. This did not stop us from reading the book and enjoying a great day at the zoo! In my research of Jim Arnosky I learned that he had an important moment at a zoo when he was little, "I saw these raccoons at the Central Park Zoo, which I later learned were native to Pennsylvania. It was such a revelation, that these animals lived where I lived even though I couldn't readily see them. I became consumed by the elusive nature of wildlife and began looking for tracks and other signs of life to discover what else lived in my world." (BookPage).